"Held by God ... like a feather which ... lets itself be carried by the wind." So wrote the medieval mystic Hildegard of Bingen. 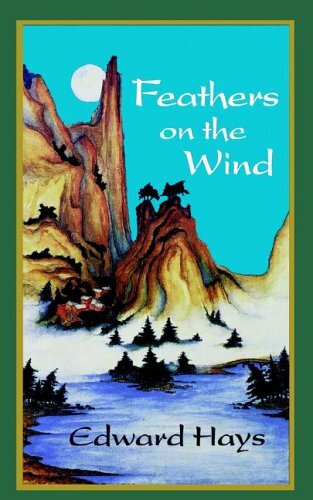 In Feathers on the Wind, Fr. Ed Hays provides a mystical Manual of Flying Lessons for all those feather folk who desire to be carried aloft by the Wind of Heaven. To float like a feather requires freedom not so much from Earth's gravity as from grave attitudes about life's problems. Each of these reflections is brief—especially designed for those short of time—but these reflections on the virtue of being lighthearted in the midst of life's heavy burdens all promise a day's worth of insight on how to live in reality and in the uplifting providence of God's Spirit. You say that you're not a mystic or a saint? Don't worry! Besides, learning how to worry less is at the heart of these lighthearted meditations that will free you—as they ground you in the wisdom of the Spirit.